Maria Onesto Moran had an ambition to combine entrepreneurship with environmental responsibility. She calls her business “Green Home Experts” and sells products — like flooring, tile and cleaning supplies — that are good for the family and good for the earth. Her various products are made of non-toxic, recyclable, energy efficient, natural and sustainable materials. Her products include building materials, paints, cork flooring, natural tile, carpeting, recycled glass, nursery and bedroom furniture, bedding, cleaning supplies, pet supplies, personal care supplies and more. Her market is both residential and commercial. Maria is dedicated to customer satisfaction and environmental responsibility and is equipped to oversee “Green Home Experts” projects from start to finish. You can find Maria’s products at 1026 Troost Ave. Forest Park, IL 60130. Website: www.GHExperts.com . 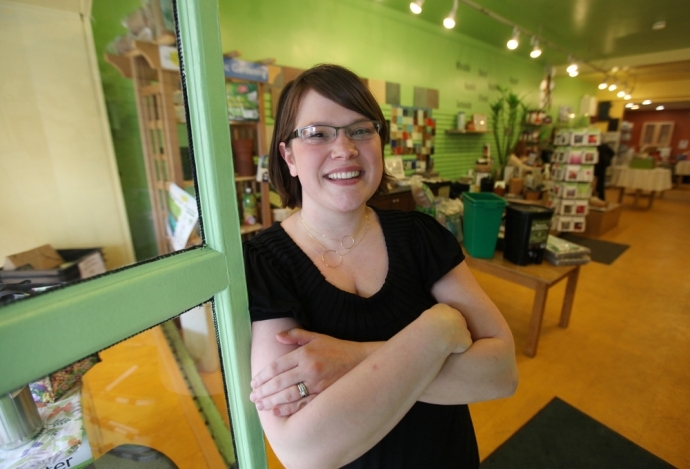 In March 2007, Maria came to SCORE for assistance in starting her business. Her counselor was (and still is) Marge Schneider, who spent a considerable amount of time with Maria over a period of several months.